In our farm we have pure breeds of Cinta Senese pigs and Chianina cattle, breeding them according to the criterion of short chain. 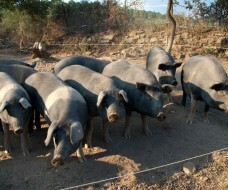 The Cinta Senese produces high quality meat, with a delicious and unique flavor. It is one of the finest Italian meats and it represents true excellence of the Tuscan tradition. 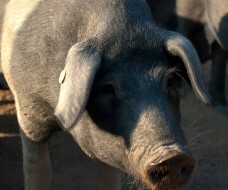 The pigs are bred in a semi-wild state, so they have ample space to move freely. Close to extinction, this breed has been safeguarded by the “Consorzio di Tutela della Cinta Senese” that protects and promotes the Cinta Senese and its processed products, besides the use of the label of designation of origin. 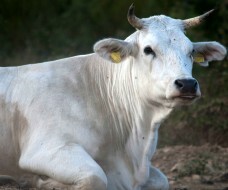 The Chianina breed is very popular for its high quality meat, which is considered one of the best in Italy. It is sought after and appreciated for the quality, tenderness and fineness of the fibers: the meat is low-fat and tasty. 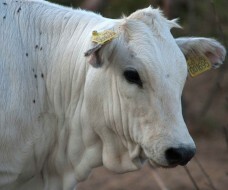 These characteristics make the breed Chianina one of the best beef cattle breeds in the world. 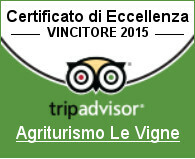 In our farm, meat processing is performed according to the Tuscan tradition. We carry out direct sales of our own products, such as cured meats, fresh meat, honey and also an excellent extra virgin olive oil that I personally produce following an ancient tradition. Other products for sale come from local businesses in Pistoia, ensuring they are local products. Our farm participates in the national project of Coldiretti CAMPAGNA AMICA that promotes and supports Italian agriculture through direct sales from producer to consumer. The project of creating an Italian short agricultural chain has the goal to realize an agri-food system that awards producers and offers to consumers high quality products at a right price. The goal is to cut out the role of intermediates and to offer the “100% Italian” agricultural product, signed by the farmer, through the National Network of Stores that belong to the project “Campagna Amica”. The mission of the project is to obtain in the future the ‘creation of an agricultural short chain, entirely Italian, recognizable because it shows the name of the Italian farmers’. • Friday morning in Pistoia, via Maria Tasselli, in the area of the Tamoil gas station. • Saturday morning in Pistoia, via dell’Annona, in front of the Coldiretti premises, area Breda. The hours of the Campagna Amica markets are: from 8.30 am to around 1.00 pm. We are looking forward to see you coming for high quality grocery shopping!